Here’s a list of the 10 Longest Life Span animals found on Earth. From Cetaceans (whales) to Crustaceans (shellfish), I’m sure some in the list will really surprise you. 1. Arctica Islandica (Ocean quahog)– this is a species of edible clam. It has a life span of 405 – 410 years and there were reports of a maximum age of 507 years! 2. Bowhead Whales – Life span of about 200 years. Although this idea was unproven for a time, recent research has indicated that bowhead whales recently killed still had harpoons in their bodies from about 1890, which, along with analysis of amino acids, has indicated a maximum life span of 177 to 245 years. 3. Eels – Thought to have a life span of over 150 years. 4. Tuataras – The tuatara is a reptile that is endemic to New Zealand and which, though it resembles most lizards, is part of a distinct lineage, order Rhynchocephalia. These amazing reptiles are thought to have a life span of 100 – 200 years and more. 5. 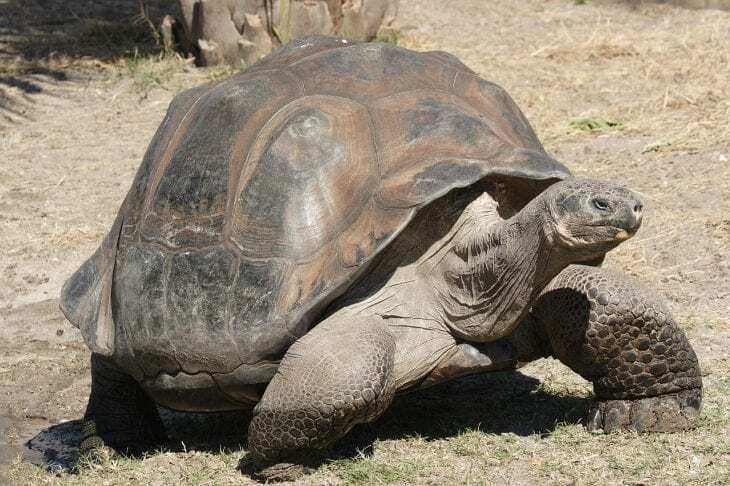 Galapagos giant tortoise– life span of 190 years. People come from all over the world to watch these magnificent creatures in the Galapagos Islands which is on the UNESCO world heritage list. 6. Greenland Sharks– The Greenland Shark is a species of shark native to the North Atlantic. It is believed to have a life span of over 200 years. 7. Koi– The Koi fish has a life span of over 200 years. This Japanese species of fish is a domesticated common carp that is kept for decorative purposes in outdoor koi ponds or water gardens. 8. Macaws – Macaws are long-tailed, often colourful parrots, that can live up to 80 – 100 years in captivity. 9. Asian elephants – The Asian Elephant is known to have reached a maximum life span of about 86 years. 10. Horses – Depending on breed, management and environment, the modern domestic horse has a life expectancy of 25 to 30 years. Uncommonly, a few animals live into their 40s and, occasionally, beyond. The oldest verifiable record was “Old Billy”, a 19th-century horse that lived to the age of 62. Howdy! I simply would like to offer you a huge thumbs up for the excellent information you’ve got here on this post. These info are so interesting! Thank you!